We are a family that always needs snacks on hand, both for myself and for the kids. Some of our favourites to make are no bake granola balls and mini muffins. 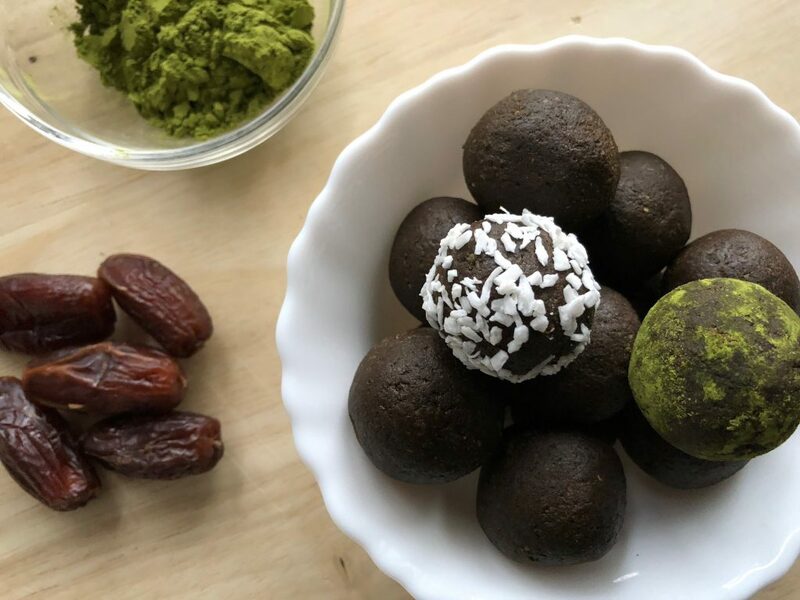 I’ve been wanting to add to our repertoire of energy bites and energy balls, so recently I tested out some Matcha Energy Balls that turned out great! It took me a couple tries to get the recipe right but now they are a staple in our house. I was surprised that even the kids really liked them! I wasn’t sure if it was okay for them to have matcha (Even though there is only a small amount in the Matcha Energy Balls,) so I did some research and apparently it’s fine, yay! 1. 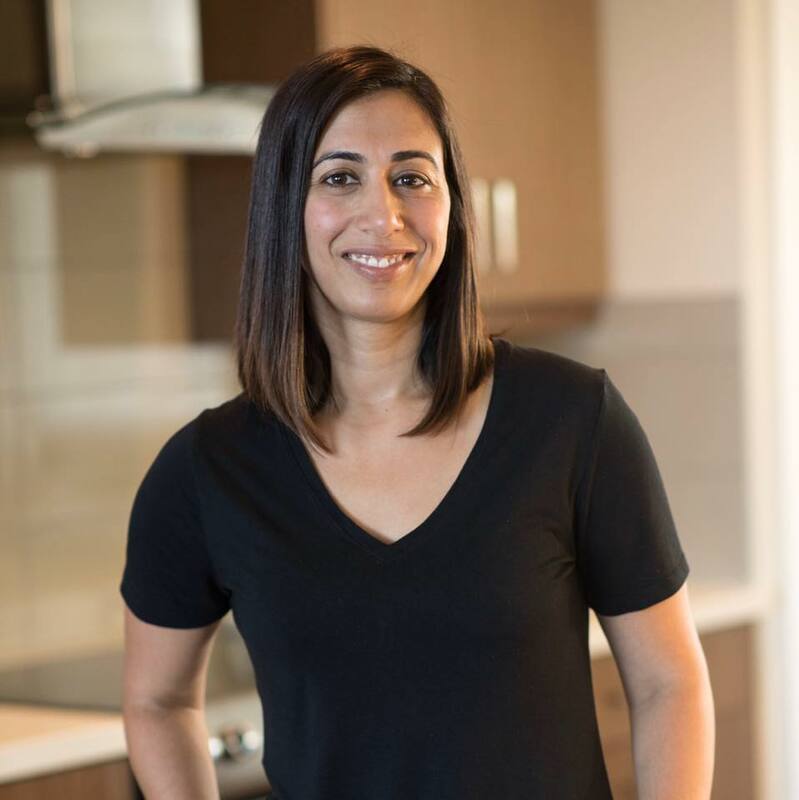 Take your dates that have already been soaked (to soften them up) and put them in the food processor and mix until they become a gooey mixture. 2. 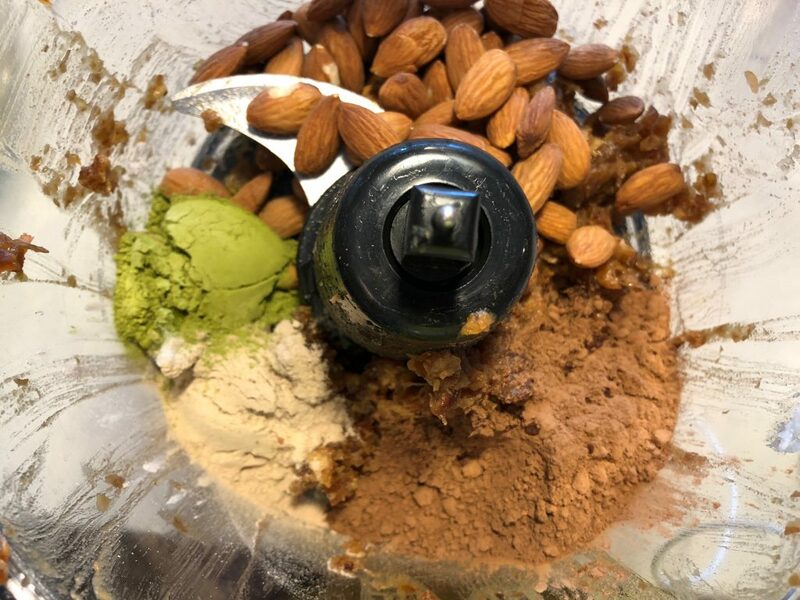 Add the almonds, cacao, matcha powder and protein powder (if you’re using it.) then turn the food processor on and pulse it until everything is well combined and you have a dark, soft mixture. 3. Add in the vanilla, coconut oil and maple syrup (if you’re using it.) Food process it one more time. 4. Now take the mixture and start making them into balls. I used about a heaping tablespoon for each ball. For a little extra, you can roll the balls in shredded coconut, matcha or even cacoa if you like. They taste great on their own as well! This weill make about 12-14 Matcha Energy Balls. 5, Refrigerate for at least an hour to make the matcha energy balls a little more firm and then enjoy! These are a great snack when you feel the urge for something sweet or need a little energy boost. Keep them in the fridge in a closed container and grab one whenever you feel like! If you like Matcha, then you’ll want to check out this Matcha Pinterest Board.